About 3 weeks 'til Chris and I shove off and head south. 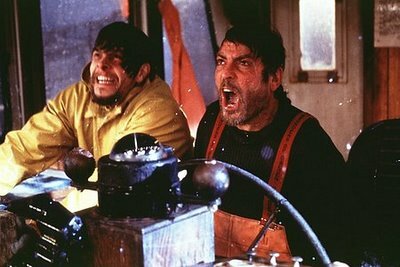 What are the Top 10 Sailing Movies of All Time? This is actually a 1991 TV miniseries based on the Vincent Bugliosi non-fiction book of the same name. It is a gripping and quite creepy story that asks the question: What happened on Palmyra Island? The lovely Rachel Ward stars, with Richard Crenna and James Brolin. Palmyra Island is halfway between Hawaii and Samoa. We could conceivably sail there in our travels. YIKES. This movie was made in Australia in 1989, and stars Sam Neill, Billy Zane and a very au-naturale Nicole Kidman before she started screwing around with that lovely face of hers. It features some pretty realistic looking sailing scenes, as in the one above. That looks like a real squall in the distance. Way to get out there, Nic! The woman knows how to wield a speargun -- and a flaregun, for that matter. It was filmed outside of the Great Barrier Reef. This is not on our planned travel agenda, but who knows? Things change. We do know that if we should trip upon Billy Zane anywhere on the globe, and he should invite us sailing, we will politely decline. 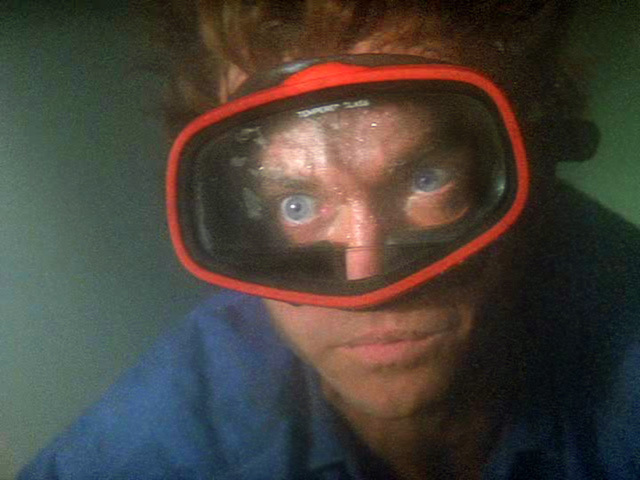 Dead Calm also features a scene where Sam Neill ends up having to go diving INSIDE the sailboat. Never a good sign. This was an A&E cable TV miniseries made in 1999. It is an adaptation of C.S. Forester's classic Napoleonic war saga. The critics gave it mixed reviews, for which they should be flogged. It is well written, superbly acted, with lots of actual sailing aboard real tall ships. 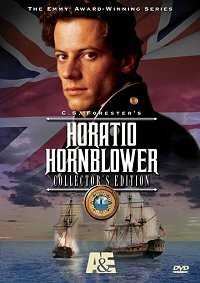 Ioan Gruffydd deserves special note for his portrayal of young Hornblower as he blossoms from raw cadet into an experienced and confident naval officer. 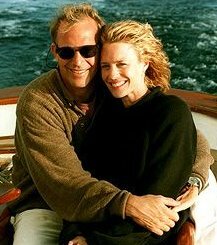 Based on the Nicholas Sparks novel, this movie is saved from being diabetes-inducing treacle by its stars, Kevin Costner and especially the lovely Robin Wright Penn. They are just right as the world-weary sailor and the smart and funny girl who just might have what it takes to save him from a pathetic life as a lonely salty sea dog and learn to live and love again. Don't judge this movie before seeing it. It's genuinely touching, funny and of course...sad. 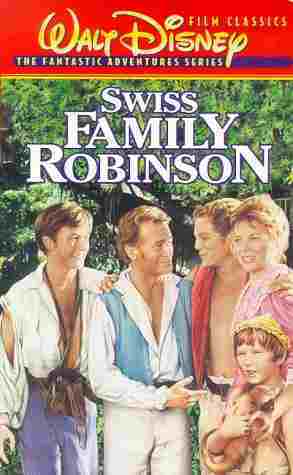 When I saw this 1960 film as a child, I freely confess that in my young mind this family, and these kids, had the ultimate dream life. Yes, they had to deal with that storm at sea, and the shipwreck, and those pesky pirates, but they got to build their lives on that really cool deserted island somewhere in the south Pacific. And that treehouse! Any kid would freely give up his X-Box and iPhone to live in this this thing! 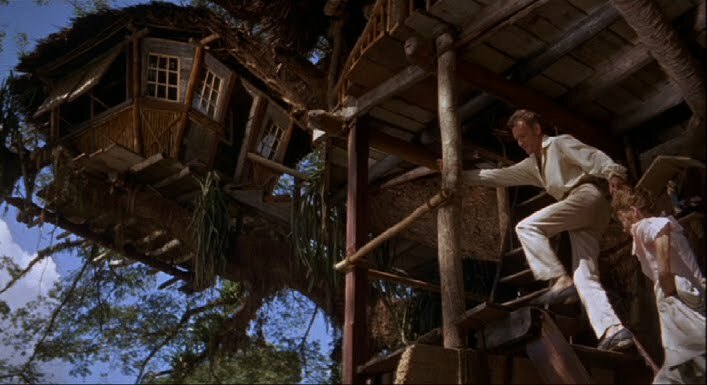 Years later, after my parents divorce (and those of most of my friends parents) I looked back wistfully and realized that the Swiss Family Robinson was this little girl's dream life because every day was filled with adventure, fun and exploring, and yet her parents (who were still deeply in love -- in the movie, anyway) were always close by, watching from a distance, keeping her safe. What a fantasy. ...but see the movie nonetheless. It will touch you, and move you, and maybe even inspire you to chuck it all, buy a sailboat and come join us in the South Pacific! This 1992 film about a fictional America's Cup syndicate is pretty much the only major motion picture about yacht racing -- and since it's a not half bad movie, it has to make my list. Chris and I had the privilege to race yachts for 10 years. It is an incredibly exciting, demanding and involving sport, which unfortunately does not always come across that way on film or as a spectator sport. You've gotta do it to appreciate it. And this film shows what it's like to be in that world. OK, it's not technically a "sailing" movie, but there are featured scenes involving a sailboat trying to survive at sea in that same, damn, perfect storm. Also, while we sailors enjoy a playful rivalry with "stinkpots" (AKA powerboaters), they're not ALL bad. Especially when George Clooney is leading the crew. I was a big fan of Sebastian Junger's horrifying book, and the film does not disappoint. Knowing that it's based on a true story (except for that wave -- PEOPLE -- it's called CGI -- that wave does not exist) makes it that much more harrowing. "She's comin' on, boys, and she's comin' on strong..."
Director Wolfgang Petersen and the boys take us on an incredible ride. There are scenes of such intensity that they're actually sort of difficult to watch. Sure, there are some embarrassingly bad lines in the script. 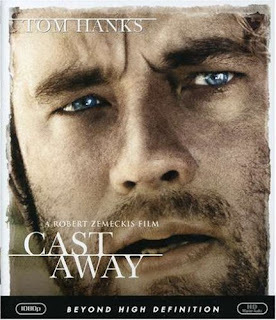 My favorite is uttered -- no, screamed -- by Mary Elizabeth Mastroantonio's character Linda:"
Ridley Scott's 1996 film was based on the true story of an early '60's sailing adventure where several teenage boys learn about adventure, brotherhood and what it means to become a man. 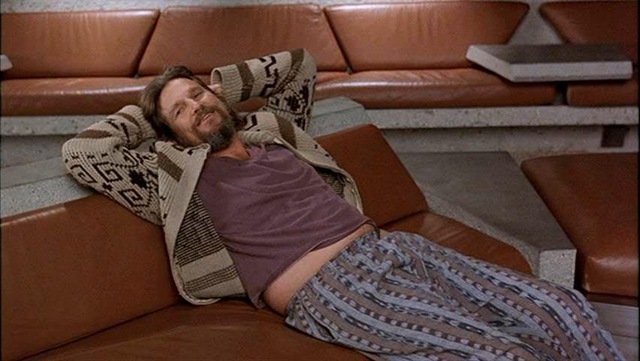 Anyone who ever says Jeff Bridges always plays The Big Lebowski type characters needs to see this movie, and his character Captain Sheldon. "The Dude" he is not. His no-nonsense Captain Sheldon character in this film would tolerate The Dude for about 9 seconds before making him walk the plank. The music by Jeff Rona is a big part of what makes this film really spectacular. It's understated, moving and powerful, yet it never overwhelms. And the sailing scenes in this movie are some of the best on film. True, the only sailboat in this 2000 masterpiece is a raft with a "sail" rigged from an outhouse. 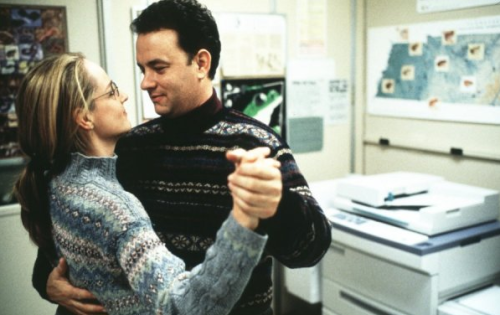 But there is something indescribably powerful about this movie. Seeing it on the big screen was a shattering experience. I remember the day well. Chris and I went to the Matinee in Long Beach. Afterwards, driving home in our car, we did not -- could not -- speak. For several minutes. We needed time to digest what we had seen. Directed by Robert Zemeckis, based on a script by William Broyles, Jr., the film is a deeply spiritual meditation on what it means to be a human being on Planet Earth. Chuck and the love of his life, Kelly. The bottom line? Man is not meant to be alone. And that is, in the end, what the movies do for us, isn't it? They inspire us, make us laugh, and remind us that we are not alone -- that we're all scratching and pawing and screwing up and doing the best we can to just keep on living another day, hopefully with loved ones nearby to share it all with. White Squall is #1 (IMHO)like Miracle is the best sports movie because it gets to the heart of the matter of sailing and how to survive at sea, and the necessity of working together to ensure this. I love this movie! On the subject of JB's acting prowess I'll say this...Fearless! Nuff said. Wind is the most under-rated of them all. Great cinematography! 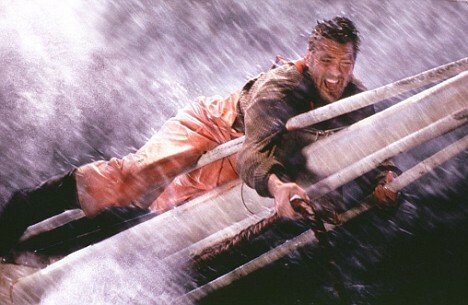 The perfect Storm is the most over-rated-technically very faulty, but dramatic and good special effects. White Squall is one of my favorites, and I happened to experience one while sailing last year--awesome! "Cook, Wine and Drinker: Boat Names from Hell." Galapagos! Cocos! Costa Rica...Oh My! So Now We Have To Worry About Cannibalism?! How do we decide where to sail? How do you say goodbye for two and a half years? Best sailing training ground in the country?